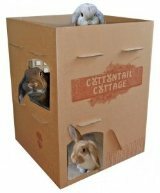 Now available - a tool to help match rabbits to adopters and increase the odds the match will be successful. 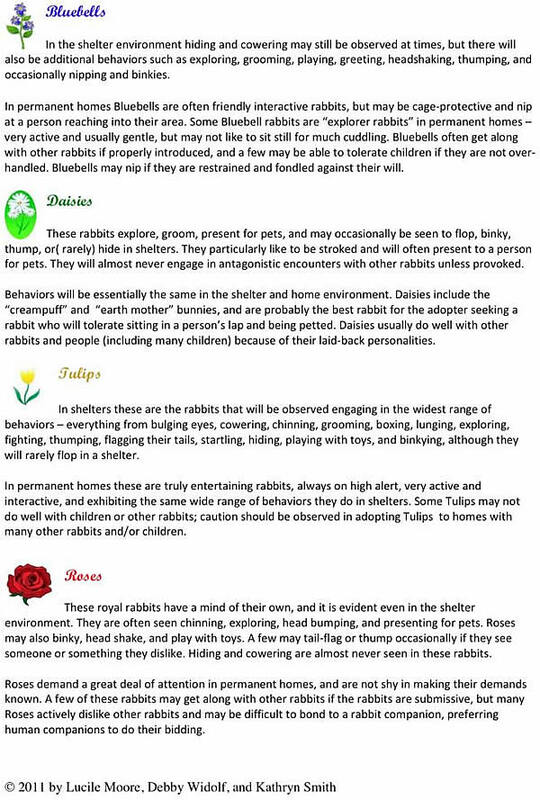 Identify key behaviors in rabbits to see which of five basic personality types the rabbit falls into. Click here to view Flower Rabbits as a PDF file (opens in a new window; requires Adobe Reader). Click image to view Flower Rabbits as a PDF file (opens in a new window; requires Adobe Reader). 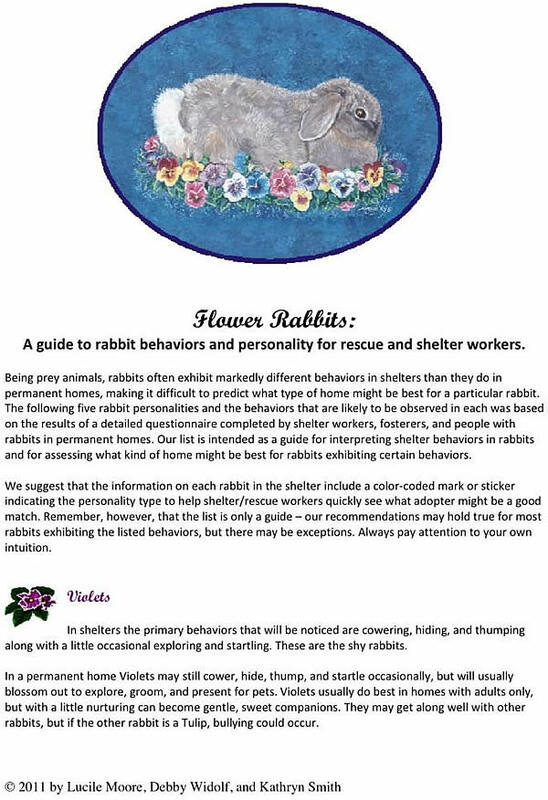 Click here to view Flower Rabbits as a PDF file (opens in a new window; requires Adobe Reader).